"Evil Ways" is a song made famous by the band #Santana from their 1969 album, "Santana." It was written by Clarence "Sonny" Henry and originally recorded by #jazz #percussionist #WillieBobo on his 1967 album, #BoboMotion. Alongside Santana's release in 1969, "Evil Ways" was also recorded by the band #TheVillageCallers. 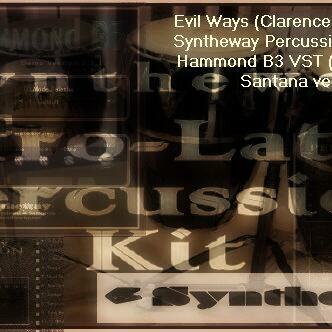 Software description: #VirtualHammond #VST #plugin with a rich and authentic sound based on the legendary #B3. The result is a warm and powerful sound over the entire range of the keyboard. The #MHB3 is capable of all the variations one expects from this type of organ, and is suitable for any flavor of music, be it #Rock, #Jazz, #Blues, #Gospel, etc. Modeled on mastered samples (normalized and noise-reduced) based on PCM recordings of a Hammond B3 organ with full length sustain samples. #Leslie #RotarySpeakerCabinet emulation is included in some presets with embedded effects. ................................................................................­..